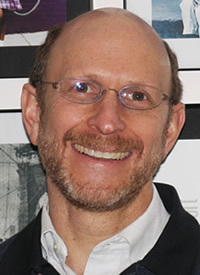 Hal Salzman is Professor of Planning and Public Policy at the Edward J. Bloustein School and Senior Faculty Fellow at the John J. Heldrich Center for Workforce Development. His research focuses on science and engineering labor markets, workplace restructuring, skill requirements, and globalization of innovation, engineering and technology design. Recently he has been writing on the science and technology policy implications of his research. Current projects, as Principal Investigator, include several studies of science and engineering education and careers and is funded by the Sloan Foundation and the National Science Foundation. These projects build on Salzman’s previous research on science and engineering education and the workforce (see, for example, “Making the Grade” in Nature and “What Shortages?” in Issues in Science and Technology.) He has testified to Senate and House committees on science and engineering workforce and globalization issues. His work has been cited in Nature, Science, New York Times, Los Angeles Times, PBS Newshour, NPR, and other media. His other area of research and teaching is on human capital development, firm strategy, and community sustainability in the Arctic. He is Principal Investigator of an International Polar Year grant from the National Science Foundation, Arctic Social Science Program/Office of Polar Programs. He is also collaborating on a National Science Foundation project developing interdisciplinary high school math and science modules to attract a diverse population of learners to STEM disciplines by engaging them in sustainability topics, at the Center for Discrete Mathematics and Theoretical Computer Science, Rutgers. Past projects include Principal Investigator of a National Science Foundation-funded project on globalization, innovation, and human capital; this work has continued in his research on “collaborative advantage” in globalization, engineering, technology entrepreneurship. Prof. Salzman has conducted a number of studies of the IT industry, on both software design and work practices and on labor force issues in the IT industry. His publications include Software By Design: Shaping Technology and the Workplace (Oxford University Press), Transforming the US Workforce Development System: Lessons for Research and Practice LERA Edited Research Volume, 2010 (co-editor) and articles on issues of technology, skills, and the workplace, and forthcoming, Engineers in the Global Economy Richard Freeman and Hal Salzman (eds.) National Bureau of Economic Research/University of Chicago Press. 2014: “Firms, Nations and Engineers: Considering Ethics in the New Global Environment” (2014, expected) Leonard Lynn and Hal Salzman; in Colleen Murphy, Paolo Gardoni, Hassan Bashir, Charles E. Harris, Jr., and Eyad Masad (eds. ), Engineering Ethics for a Globalized World (Dordrecht: Springer, under contract). Engineering demand and employment, including case studies of petroleum engineers, studies of IT workers. This work has been supported by the Alfred P. Sloan Foundation and the National Science Foundation, and two current projects are supported by grants from the Alfred P. Sloan Foundation and through the National Bureau of Economic Research. This work is conducted with colleagues Lindsay Lowell, Georgetown University; Leonard Lynn, Case Western Reserve University; Daniel Kuehn, American University; and Richard Freeman, Harvard University. Two current projects include analysis of engineering employment and a new project examining the educational pathways of science and engineering students, with detailed analysis of course taking and performance by field of study. The studies conducted to date are summarized below with links to papers, commentaries, and media coverage and several in-depth articles on these topics. This work is conducted with colleagues Lindsay Lowell, Georgetown University; Leonard Lynn, Case Western Reserve University; Daniel Kuehn, American University; Robert Lerman, Urban Institute and American University. The analysis will significantly advance our understanding of science and engineering (S&E) students’ pathways from college through early-stage careers using newly available, in-depth longitudinal data and fieldwork. It will provide a more accurate assessment of the S&E content of students’ education, and analysis of varied pathways pursued by S&E students, different demographic groups (underrepresented minorities, women), and fields (e.g., engineering). Analysis of newly released longitudinal data will provide the depth and breadth necessary to classify and explain students’ varied college behaviors/S&E course taking and initial employment experiences. By combing in-depth fieldwork with new quantitative analysis, we will provide a more nuanced analysis of S&E education and careers and a more accurate assessment of how students develop and apply their S&E education. Additionally, collaboration with the Sloan-funded project on Database Privacy (DP) will be an applied test of the reliability of their methods in replicating the analysis using restricted data. (The DP analysis is being conducted in collaboration with the Sloan Foundation-funded project, conducted by Cynthia Dwork, Microsoft Research, Silicon Valley and John Mitchell, Department of Computer Science, Stanford University. Baccalaureate and Beyond (B&B) is the core dataset for the analysis. At the same time, we will conduct interviews with students, faculty, administrators, and counselors iteratively with the data analysis. Using this integrated approach, we will first develop the analytic typologies and then test and triangulate the quantitative findings. We will classify college pathways (cluster analysis, trajectory analysis), describe differences in outcomes, test for differential impacts using propensity matching, and examine the relationships between a rich set of factors on parental background, S&E preparation, wage differentials, and course taking and differential impacts and outcomes for women and minorities. The academic contribution of the project will be to provide a nuanced characterization of S&E pathways and produce new knowledge on how educational decisions signal student intent and preparation for S&E careers. In turn, the results will tell us much about the contested belief that S&E education is either “diverted” into non-S&E jobs or whether some S&E education (without an S&E degree) contributes to productive careers. The project will yield new evidence on the robustness of the S&E pathways, concerns about which fuel the ongoing, often heated, policy debate, as well as provide new tools for on-the-ground pedagogy and career counseling. 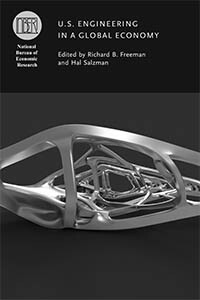 Hal Salzman’s current research projects that will be chapters in this book include an analysis of petroleum engineering, a study of engineering management, and an overall assessment of engineering supply and demand. “Current and proposed high-skilled guestworker policies discourage STEM students and grads from entering IT” (2013) Economic Policy Institute. Hal Salzman, Daniel Kuehn, and B. Lindsay Lowell. This report addresses the perception that there has been a long-term decline of high-quality students from the beginning to the end of the S&E pipeline. However, our review of the data fails to find support for those presumptions. Rather, the available data indicate increases in the absolute numbers of secondary school graduates and increases in their math and science performance levels. Domestic and international trends suggest that U.S. schools show steady improvement in math and science, the United States is not at any particular disadvantage in comparison to most other nations, and the supply of S&E-qualified graduates is large and ranks among the best internationally. Further, there has been growth in the number of undergraduates completing S&E studies and the number of S&E graduates remains high by historical standards. Why, then, is there a purported failure to meet the demand for S&E college students and S&E workers? Analysis of the S&E pipeline when it reaches the labor market suggests that the education system produces qualified graduates in excess of apparent demand. So while improving average math and science education at the K–12 level may be warranted for other reasons, such a strategy may not be the most efficient means of supplying the S&E workforce. Is there a problem producing enough STEM-educated students at sufficient performance levels to supply the labor market? How large is the flow of guestworkers into the STEM workforce and into the information technology (IT) workforce in particular? And what are the characteristics of these workers? What are the dynamics of the STEM labor market, and what are the employment and wage trends in the IT labor market? Analysis of these issues provides the basis for assessing the extent of demand for STEM workers and the impact of guestworker flows on the STEM and IT workforces. In this paper, we explore three major questions: (1) what is the “flow” or retention rate of STEM students along the high school to career pathway? (2) How does this flow and this retention rate change from earlier cohorts to current cohorts? (3) What are the changes in quality of STEM students who persist through the STEM pathway? A fairly demanding analysis coordinated the evaluation of six longitudinal datasets for trends from the early 1970s through the early part of the last decade. Transitions were tracked for students from high school through to STEM college degree, from college to first job, and thereafter to mid-career occupation. Our findings indicate that STEM retention along the pipeline shows strong and even increasing rates of retention from the 1970s to the late 1990s. The overall trend of increasingly strong STEM retention rates, however, is accompanied by simultaneous and sometimes sharp declines in retention among the highest performing students in the 1990s. Our analysis strongly suggests that students are not leaving STEM pathways because of lack of preparation or ability. Instead, it suggests that factors other than educational preparation or student ability are responsible for this compositional shift to lower-performing students in the STEM pipeline. This project focuses on the “supply side” factors that allegedly threaten U.S. economic competitiveness. We examine the number of engineering students and graduates at various levels, and how well this supply of human resources matches what employers are seeking. We do find that there is some degree of mismatch, largely because of structural changes both in firms and in engineering work. This occurs at both the micro level (how engineering is practiced and the nature of technology development) and at the macro level (how firms are organizing their technology work globally and the labor force factors that affect the supply of engineers graduating from our universities). However, we find no evidence that deficits in the basic science and math education and the technical knowledge of U.S. students is leading to a shortage of highly qualified U.S. engineering students. Engineering shortage claims are based on a number of assumptions that we are able to examine empirically through a “natural experiment” in the case of petroleum engineers. The assumptions are that demand outpaces supply; the increasing offshore supply of scientists and engineers constitutes a “competition” with the U.S.; the size of the stock of engineers drives innovation (which, in turn, drives economic growth and social prosperity); and supply will depend on (a) stimulating interest and achievement of domestic students, and (b) increasing foreign supply/guest workers. In this paper, we examine the common policy assumptions that: (1) the supply of engineers in other countries is a “threat” to U.S. innovation and competitiveness, (2) that labor markets do not function adequately to produce the requisite supply of engineers to meet industry demand, and (3) that guest workers/students are necessary to meet U.S. employer needs for their permanent workforces. Through this study of petroleum engineering, we examine the responsiveness of the educational engineer market. The global distribution of science and engineering (S&E) work is proceeding apace yet the causes and consequences, though widely debated, are not well understood. At the core of the debate is the question of whether globalization of S&E is a search for talent that is scarce and globally distributed or whether S&E work and workforce are being globally dispersed to take advantage of cost differentials. As with all such questions, the answer has complexities and contingencies that derive from the evolution/path of the phenomenon. In this case, the underlying issue is whether globalization of S&E work is antecedent or consequence of globally distributed S&E workforce/talent and the factors and process driving its global dispersion. Understanding the phenomenon is of particular importance for an analysis of policy, to understand the role of policy in shaping the landscape of S&E globalization and policy directions to pursue. The articles, research reports, policy briefs, and papers have been cited widely in academic/research and policy discussions, and popular media. These studies contribute significantly to the research and policy discussions about S&E student performance, S&E education pipeline, and S&E workforce supply. We have been invited to present this work to two Congressional Committee hearings, the current National Research Council STEM Committee (on Department of Defense STEM shortages), and to a wide range of media, from NPR’s Science Friday (Lowell and Salzman have appeared on two different shows) and Marketplace, to articles in The Wall Street Journal, Chronicle of Higher Education, Business Week, The New York Times, Science, Education Week, and many more. “Making the Grade,” Nature, 453(1): 28-30, 2008 (Salzman & Lowell). Quality, and Workforce Demand,” Research Report, Urban Institute, 2007 (Lowell & Salzman). Pipeline,” Rutgers University and Georgetown University, 2009 (Lowell, Salzman, Bernstein, & and Henderson). “How “Leaky” is the Pipeline? Career Attrition Among Scientists and Engineers: Comparing Demographic Groups and Fields of Education, 1993 and 2003” (in revision) (Lowell, Salzman, & Bernstein). In Transforming The U.S. Workforce Development System: Lessons from Research and Practice (Finegold, Gatta, Salzman, & Schurman, eds.). Cornell University/ ILR Press. (Lynn & Salzman). November 4, 2010 Boston, MA. (Salzman & Lynn). “Globalization Shifts in Human Capital and Innovation: Policy for Collaborative Advantage & Implications for Education” October, 2007 Paper prepared for: Carnegie-Institute for Advanced Studies (IAS) Commission on Mathematics and Science Education (Salzman). Problems, and Policies, Oxford: Oxford University Press, 2009 (Lowell, Martin, & Micah Bump). “Federal Immigration Policies and the Movement of Chinese and Indian Knowledge Workers to and from the United States,” pages 89-106 in Tambar (ed.) Movement of Global Talent: The Impact of High Skill Labor Flows from India and China, Policy Research Institute for the Region: Princeton University, 2007 (Lowell). “Trends in Immigration and Human Capital,” Conference Board, Economics Program Working Paper Series (EPWP #08 – 09), 2007 (Lowell). “Globalization of R&D and Innovation: Implications for U.S. STEM Workforce and Policy: Testimony before the U.S. House Subcommittee on Technology and Innovation” Statement submitted to the Subcommittee on Technology and Innovation of the Committee on Science and Technology U.S. House of Representatives, 2008 (Salzman). “Immigration and the Science & Engineering Workforce: Failing Pipelines, Restrictive Visas, and the ‘Best and Brightest’” Testimony for “STEM the Tide: Should America Try to Prevent an Exodus of Foreign Graduates of U.S. Universities with Advanced Science Degrees?” the U.S. House of Representatives Judiciary Committee, Washington, D.C., October 2011. The Urban Institute “First Tuesday” Panel (Salzman). Moderated by David Goldstein with panelist from Competitiveness Council. Washington, D.C., June 2007 (Lowell). “Globalization Shifts in Human Capital and Innovation: Policy for Collaborative Advantage & Implications for Education,” Paper presented to: Carnegie-IAS Commission on Mathematics and Science Education New York, NY November 8, 2007 (Salzman). Competitiveness Project, the Conference Board, New York City, February 2007 (Lowell). “Foreign Skilled Workers and U.S. Competitiveness,” Presentation to a panel for the American Chemical Society and its Congress Project, TechNet, Russell Senate Building, Washington D.C., May 2007 (Lowell). “Demand for STEM Workers and the Supply Pipeline,” Presentation at the Roundtable Series on Technology, Innovation, and American Primacy and the High-Level Roundtable Series on American Competitiveness, Council on Foreign Relations, New York City, November 2007 (Lowell). Washington, D.C., March 2012 (Lowell). “Are We Getting ‘Enough’ STEM Migrants? Pipelines, Shortages & the Best and the Brightest,” Presentation to “Labor Immigration: Good or Bad for America,” Cornell University, Ithaca, September 2011 (Lowell). Brookings Institute, Washington D.C., February 2011 (Lowell). Master’s Degree in STEM,” the National Science Foundation, Arlington, May 2010 (Lowell). “Global Talent Arbitrage” (2012). Paper presented at the Labor and Employment Relations Association meetings. January. Chicago, IL. (Salzman). Analysis and Management, Washington D.C., November 2009 (Salzman, Lowell, & Bernstein). “Petroleum Engineering: A Case of Supply and Market Demand” (2011). Industry Studies Association Conference, Pittsburgh, PA. June. (Salzman). D.C., June 2008 (Lowell, Lynn, & Salzman). Washington, D.C., November 2007 (Lowell). “Into the Eye of the Storm: Assessing the Evidence on S&E Workforce Quality and Demand,” Paper presented at the meetings of the Association for Public Policy Analysis and Management, Madison, November 2006 (Salzman & Lowell). “What ‘Stapling a Green Card’ Portends for STEM,” Science Careers, April 5, 2013 (Benderly). “What Scientist Shortage? The Johnny-can’t-do-science myth damages US research,” Columbia Journalism Review, January 17, 2012 (Benderly). “No Pain, No Gain,” The Wall Street Journal, January 1, 2012 (Silverman & Light). “Petroleum Engineering Shows U.S. Students’ Hidden Prowess,“ Pacific Standard, April 20, 2011 (Benderly). Might Companies, Not Colleges, Deserve the Blame for a Shortage of Engineers? Let’s Have a Presidential Debate on Science; Can Any of the Candidates Lead America Back to the Head of the Class in Science and Technology? Do We Need More Engineers? Arctic communities and industries are facing a trio of challenges from climate change, economic change, and social change. The next generation may be faced with tough choices between maintaining traditional, subsistence life and the lure of expanding opportunities in standard employment in the oil, field services, and mining industries. This research involves case studies and extensive field work of several industries and communities in the Arctic to examine the changing employment and career structures, worker career development, and the sustainability of local communities. The project will also provide multiple perspectives on the impact of climate change on human and economic activity. The findings will address the broader issues of sustainability of communities outside of urban and industrial work systems. This research is supported by the National Science Foundation, Arctic Social Sciences Program and is an International Polar Year project. This project address three major areas of research: (a) Arctic social systems: the project will add to our understanding of the uneasy accommodation between traditional culture and the internal labor markets in firms operating in extreme environments, and the implications for future sustainability in face of climate and economic change; (b) Internal labor markets and workforce development: this extends research on the transformation of internal labor markets to mixed and transitional economies to determine how nonstandard jobs and careers can be maintained, particularly under conditions of temporal discontinuity; (c) Transitional and emerging economies: project findings may have relevance to modeling of alternative paths of economic and workforce development as well as business strategies that sustain traditional practices in the context of increasing industrialization (as an alternative path to convergence). The project will also provide multiple perspectives on the impact of climate change on human and economic activity. The findings will address the broader issues of sustainability of communities outside of urban and industrial work systems. The Arctic is one of the most rapidly changing regions of the world–warming is diminishing the Arctic Ocean’s sea ice cover, opening up new possibilities for transport, natural resource development and economic growth for local communities. At the same time, globalization and environmental change are stressing the sustainability of arctic communities. In this seminar, Arctic climate, environmental and social change will be examined through feature films, documentaries, and art. Examining the rapidly changing Arctic, as the global bellwether of climate change, will also draw on the research of both instructors, one a glacial hydrologist studying Greenland ice sheet and the other a sociologist examining sustainability of Arctic villages in the North Slope of Alaska.